For many of us, Labor Day marked the beginning of the new school year, or maybe the end of summer. The change in season can feel like a fresh start. While celebrating hard-working Americans on Labor Day, perhaps you considered a new job yourself. You may want to consider a rewarding career in the assisted living industry. There are immeasurable rewards, far beyond monetary compensation only, when working with elderly residents. You will work with compassionate co-workers who care and serve others with respect and dignity. Although the work is hard, your job can give you a sense of purpose as you care for this vulnerable population. Aegis Living may be a great career opportunity for you. We currently operate 28 communities in Washington, California, and Nevada. We are looking for dedicated employees as we develop ten new properties over the next several years. We estimate creating 800 new jobs in the next four years and 300 within the next year. Aegis Living is a national leader in assisted living and memory care. Recently, Aegis Living was featured as one of 15 companies by Glassdoor for excellent work-life balance. Companies recognized received consistently high scores from their employees across multiple measurements. This follows Aegis Living being among Glassdoor’s Top 50 Best Places to Work for 2017, out of over 600,000 companies. We are so proud of our accomplishments and honored that our employees support our efforts. Recently celebrating our 20-year anniversary, Aegis Living is unlike other senior housing providers because we often recruit from outside our industry, including the hospitality and retail sectors. We offer specific training and on-going education for our staff to set them up for success. And we thank our employees for their dedication through programs such as The Dream Big Lottery and The Dream Big Vacation Giveaway. The U.S. elderly population is soaring with the baby boomers moving into retirement. The need for qualified care staff, nurses, and management will continue to grow with this trend. 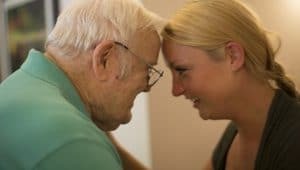 A career in the assisted living industry will not only be rewarded with job security, but also the gratitude of those you serve. Whether you consider a job with Aegis Living or another senior housing provider, know these important jobs for our growing senior population can be highly rewarding and fulfilling. If you are interested in career opportunities, visit the Aegis Living website to view our job openings.